What can I send to Iceland? What items are restricted? You can use Send My Bag to ship your possessions to Iceland, no matter the reason for your visit. If you are going on holiday to Iceland you will want to take a tour or two to different areas of the island. You could do this by foot or bike, meaning you will need to have your boots or bicycle with you. It’s no problem to ship these items to Iceland with Send My Bag. This way you don’t have to worry about the restrictive baggage allowances of some airlines. Plus, you won’t have to worry about your luggage during your journey. If you are moving to Iceland to live, to study or do research, Send My Bag offers a great way to ship everything you need for the duration of your stay. It can be a lot of hassle dragging your luggage onto planes and public transport. This can be avoided if you send your luggage to Iceland with Send My Bag. This is great if you are moving to Iceland for a long time and need lots of your things with you. Or, you may find it difficult travelling light when you go on holiday, in which case Send My Bag can help by taking care of your luggage for you and decidedly lightening your load when you travel. To learn more about sending luggage to Iceland, visit our ‘How it works’ page, or our ‘FAQs’. Despite being a sparsely populated island, Iceland has at least ten very good golf courses to choose from, including Keilir, Reykjavík and Sudurnesja. If you want to enjoy playing golf during your stay in Iceland, there’s no need to rent golf clubs when you are there. Instead you can have your own clubs shipped to Iceland for you with Send My Bag. Your golf clubs can be sitting waiting for you at your hotel, without you having to drag them behind you during your journey. Moreover, you can avoid oversized baggage fees from your airline. See more information on how to send golf clubs with Send My Bag, including how to best package your golf clubs. Iceland is an island you will want to explore as much as possible, and what better way to see the landscape up-close than by bike? Rather than checking your bike into the hold of your plane and having to pay outsized baggage fees, you can send your bicycle to Iceland with Send My Bag. This means you won’t have to rent a bike when you are there but can enjoy the scenery from the comfort of a bike that suits you perfectly. Your bike should be taken apart and safely packaged up before being sent to Iceland. See our information on bike shipping to learn more. You can go skiing in Iceland between November and May. Resorts in Iceland include Skálafell not far from Reykjavík, Bláfjöll in South Iceland and Hlíðarfjall in the North. There is no need to rent skis while you are there, as you can send your skis to Iceland with Send My Bag and have them waiting for you on arrival. Find out more about sending skis with Send My Bag and read about how to package your skis safely. You will have to think about international removals if moving to Iceland, in order to transport all of your possessions too. Ensure you choose a removal company that has good reviews and that you pack up your items carefully so that they arrive safely. Use suitable packaging for your items and tape everything up well. Iceland has seven universities and welcomes international students. Universities include the University of Iceland, Reykjavík University and Bifröst University. If you have decided to complete a Bachelors, Masters or Doctoral degree in Iceland, Send My Bag can send all the possessions you need for the duration of your course. You can have your possessions sent to your student accommodation with Send My Bag, ready for your arrival. Discover more about student shipping on our student page and find out how to receive your student discount. It’s not just luggage that can be sent to Iceland with Send My Bag – you can also send parcels to Iceland with Send My Bag. Sending a parcel is a great option if you have fewer items to send. You could send a care package or gift to a friend living in Iceland. Or an expat who has moved to Iceland may ask you to send them something they accidentally left behind in their home country. When you send a parcel to Iceland please make sure you choose a sturdy box and tape it up well so nothing gets damaged in transit. Find out more about sending a parcel and find out what you can send with Send My Bag and how to package your items. If you need to ship something large like a sideboard or chest of drawers, to Iceland, you could try air freight. Although it is quite fast, at one to two days, it can be quite expensive, especially if you have a large shipment. Other costs include hiring a customs agent to sort customs clearance for you and arranging transport for your items to and from the airport. If you send internationally by air freight to Iceland your items will likely arrive at Reykjavík-Keflavík Airport. Sea freight or container shipping is an alternative for shipping large bulky items. This option can take a number of weeks but is normally cheaper than air freight. A customs agent will still need to clear customs for you and you will need to get your items to and from the ports. When using container shipping to Iceland, your items will most likely arrive at a seaport such as the Port of Reykjavík or the Port of Vestmannaeyjar. Everything was done in time, the people on the chat were kind and very helpfull.The problem we had was with the local delivery: we had to go personally to get the bag, to avoid the risk to have the same problem of the first attempt. I am very happy with how fast the shipping was and that there were no problems with the toll. The price is moderately acceptable and the registration was easy to go through. I would definitely recommend Send My Bag to others. Personal effects are normally considered to be used items that have been in the sender's possession for 6 months or more. The majority of countries offer consignees a duty-free allowance for shipments made up of personal effects. This means that most Send My Bag shipments are not stopped by customs. You need to show customs officials that your shipment consists of personal effects. To do so you must complete a brief non-generic packing list online, with entries to be made as follows: "2 x Denim Jacket, 3 x Nylon Tights, x 5 x Polyester Socks", and so on, rather than as "10 x Used Clothing". If brand new or commercial items are found by customs in Iceland, officials may assess your shipment for customs duties and taxes. If you are sending Christmas gifts to Iceland please check with the authorities there so you are aware of any customs duties that need to be paid. You should follow any advice given and attach all necessary documentation. As customs processes and allowances change depending on the country, we suggest travellers take 5 minutes to check how their personal circumstances and what they are sending will be viewed under prevailing Icelandic customs regulations. Iceland is known as one of the most volcanically active places in the world. It is also home to some of Europe’s biggest glaciers. Another natural phenomenon of Iceland is the 24 hours of sunshine at the height of summer and the very short days in winter. Furthermore, visitors might be lucky enough to witness the Aurora Borealis (the Northern Lights) in Iceland. Iceland’s capital city, Reykjavík, has many places of interest for tourists, including the fascinating architecture of the Hallgrimskirkja, the Solfar (Sun Voyager Sculpture), the National Museum of Iceland, the Arbaer Open Air Museum and the Reykjadalur Hot Springs. 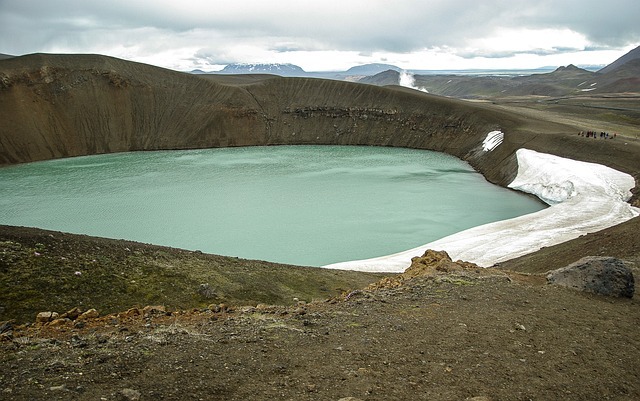 Beyond the city you can see Iceland’s stunning landscape by bike, foot, boat or horseback. There are many tours available to help you make the most of your visit to this remarkable country.